Arrival at Calicut. Transfer to Kappad Beach Resort from Calicut. This beach has gained popularity as Vasco Da Gama, the Portuguese explorer, placed his first step on Indian soil from this place. Spend overnight at Kappad Beach Resort. Visit Beypore, home to Asia's biggest wood market and traditional wooden ship making industry. The craftsmen have been making these Marakalam's in Beypore since the 18th Century. Overnight stay at Kappad Beach Resort. Drive to Mahe. On arrival transfer to Ayisha Manzil, a heritage bungalow located on the shores of Arabian Sea. In the afternoon visit to the fort and mosque within the city. Overnight stay at the bungalow. 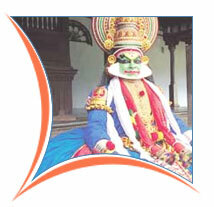 Visit the Keralas Traditional Dance Centre to witness 'Thayum' and 'Kalari Pati'. Overnight stay at the bungalow. Drive to Wyannad. Check into Vythiri Resort surrounded by lush green rainforests. This eco-friendly resort provides the visitors with ample opportunities for bird watching, trekking and elephant safari. Overnight stay at the Vythiri Resort. Visit the nearby tribal village and tribal museum at Wyannad. After lunch take a 4-km trek to an awe-inspiring ancient cave, providing an insight into the rich Indian civilization. Overnight stay at the Vythiri Resort. 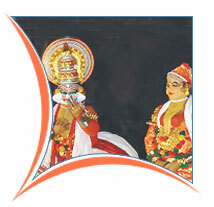 Drive to Cheruthuruthy to visit the school of traditional art and dance - Natya Kala Mandalam. Visit local potters and weavers of this place known for their dexterity in the art. Stay overnight at the Heritage River Retreat Hotel. Morning drive to Cochin. Afternoon sightseeing tour at Fort Cochin - the area where one can witness the amalgamation of Portuguese, Dutch and Chinese culture. A small population of Jews still resides here. Visit Mattancherry Palace, Chinese Fishing Nets, Saint Francis Church and the oldest synagogue in the Commonwealth. Walk through the busy spice markets in the Jewtown area. In the evening watch Kathakali dance performance. Overnight stay at Fort Heritage Hotel. Drive to Alleppey. Enjoy a memorable ride on the fantastic houseboats. Travel through the coconut fringed canals. Relax your mind and body as nature envelops you. 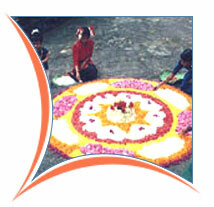 Here you are a welcome observer of traditional activities of the native people. Your crew will show you various tourist spots along the way and also provide you delicious meals on board. Have an out of the world experience with the overnight stay on the houseboat! Arrive in Thottapally. Disembark from houseboat after breakfast. Drive to Kovalam. Visit enroute Haripa d Subramanian Snake Temples, which house 500 snake statues. Overnight stay at Kovalam Beach Resort. Relax at Kovalam during the day. You can also have a body-soothing, relaxing Ayurvedic massage at the Ayurveda resort on the beach. Overnight stay at Kovalam Beach Resort.